This book, newly available in paperback, presents a distinctive theoretical approach to the problem of borders in the study of global politics. It turns from current debates about the presence or absence of borders between states to consider the possibility that the concept of the border of the state is being reconfigured in contemporary political life. 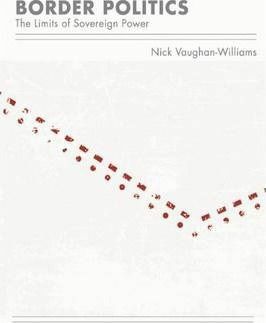 The author uses critical resources found in poststructuralist thought to think in new ways about the relationship between borders, security and sovereign power, drawing on a range of thinkers including Agamben, Derrida and Foucault. He highlights the necessity of a more pluralized and radicalised view of what borders are and where they might be found and uses the problem of borders to critically explore the innovations and limits of poststructuralist scholarship.